Air India Air Transport Services Limited is conducting a Walk-In-Interview for the 205 vacancies for the post of Customer Agent, Duty Manager, and Other. Through AIATSL Recruitment 2019 organization has invited eligible aspirants to appear in the walk-In interview for the said vacancies. Interested one can check complete notification details from below. 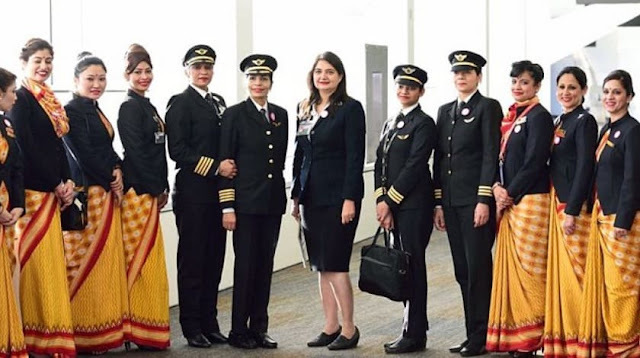 The Walk-In for the AIATSL Recruitment 2019 has been scheduled from 24 April 2019 to 07 May 2019. In order to appear in the interview, round aspirants have to prepare an application form in the prescribed format. The direct link to download the format of the application form is available on the below section of this page. You are suggested to go through the below-provided information and fill the application form as per the guidelines. Step 2: After going to the home page you have to hit on “Careers” link visible at the bottom section of the home page. Step 3: On the next page press the “Click here to see advertisement” link visible in the front of “Various Post in AIR INDIA AIR TRANSPORT SERVICES LTD at Mumbai” post. Step 5: Print a format of application form from the below section of the notification. Step 6: Fill the application form by providing complete details. Step 8: Keep the filled application form safe with you and carry it with you at the time of Walk-In-Interview. Systems & Training Division 2nd floor, GSD Complex, Near Sahar Police Station, Airport Gate No.-5, Sahar, Andheri-E, Mumbai-400099.